FANUC supplies the 31i-B5 control with 5-axis simultaneous machining and precise servo control, short position control cycles and high resolution of the control system. The uniform user interface used on all machines guarantees a cost and time-optimized processing sequence. The best surface qualities that an operator can optimise by experience in the two-dimensional area are in simultaneous 5-axis operation, as in tool grinding, can only be created by a powerful controller. Junior boss Daniel Metz prefers to characterize his company as a restaurant around the corner: with few dishes that taste indescribably good. The "Gourmet-Restaurant" is located in Zell am Harmersbach and was founded by his father Wolfgang Metz. Daniel Metz entered his father's business in 2009. The graduate industrial engineer with experience in aircraft construction is now managing director and is gradually taking over responsibility. Daniel Metz intends to maintain his specialization in milling tools: "We can't dance at all weddings." And more importantly: "With the current size of the company, we are very flexible and do not want to compete with large tool manufacturers." However, this only applies to the breadth of the offer. 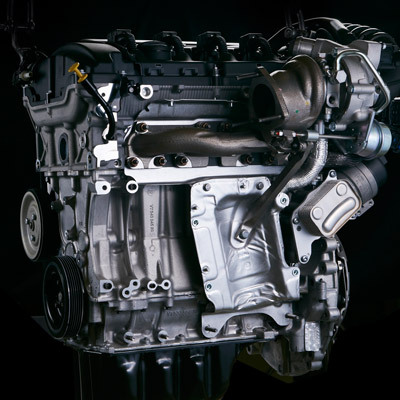 Metz sees the company's strengths in the fact that "we deliver quickly, flexibly and in high quality". Simple regrinding work takes an average of four to six working days; coating is required eight to ten days. Delivery times are agreed individually. Detailed measurement protocols are available for the tools on request. Metz makes no difference whether the order comes from a one-man contractor or from a large company. He does not want to make it the rule, but the managing director is proud of his team's ability to react: "We already had the case that a foreman called, sent a sketch and the tool was delivered only 24 hours later." The "paperwork" was then done in the days following. Work is carried out in one shift. The end of the shift is determined by the order situation and guaranteed delivery times. At night, the production of special tools runs autonomously, with the ISOG 20+ being fed via chain loaders. Depending on the tool and customer requirements, the achieved tolerances are in the range of up to ± 1/100 mm. This is not always based on the accuracy required for the cutting process, but on the process, reliability resulting from the use of precise tools. About 70 percent of the orders are for regrinding and the other 30 percent is specifically for special tools. The smallest tools have a diameter of three millimetres, the largest 32 mm. Here, the grinding machines are a limiting factor. Six ISOG 20+ machines with FANUC CNC and software from the Swiss specialist MTS AG are in operation. Metz had been involved in the development of the ISOG 20+ prototype in 2014. Metz had already worked with machines from Michael Deckel before. An S20Turbo is still in operation for subordinated work. The fact that Metz was involved in the project at all was due to the poorly reliable controllers of machines used until installation of the new controllers and their non-optimal control behaviour. The FANUC technology has convinced the tool specialists to such an extent that the prototype was already planned into the operating sequence right from the start. The FANUC CNC stands out - among many other features - above all due to short position control cycles and the high resolution of the control system. 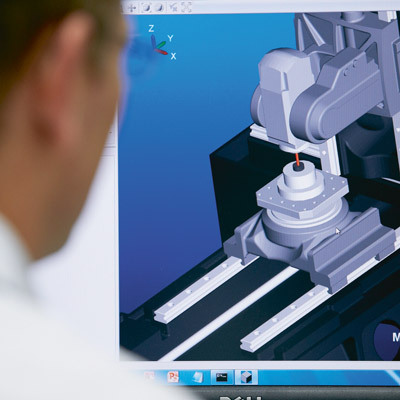 Qualities that an operator can optimize by experience in the two-dimensional field can only be achieved in simultaneous 5-axis operation, as in tool grinding, by a powerful control system. Metz: “We then consistently stayed with this machine because we see it as an important factor in our flexibility.” This means that the five-axis machines can be used as required. A further advantage of the uniform machine equipment including a uniform user interface: Every employee can work on any machine. Set-up times are short because the machine is known and training costs are lower overall than when different machines with different controls are in operation. And because the experienced mechanics at Metz handle the machines very carefully, the machines last correspondingly long. Therefore, the use of FANUC CNC and servo drive technology is certainly a discussion worth having. Older machines are then used for upstream work. A machine can live to be 25 years old. Daniel Metz also wants spare parts: "We had good experiences with FANUC ." 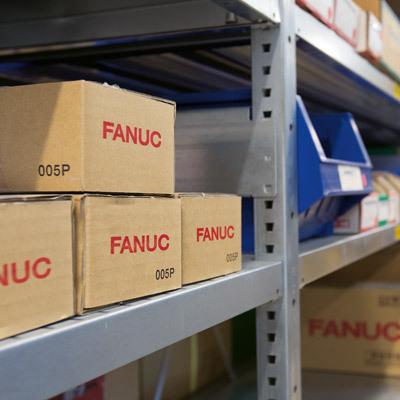 And Uwe Stiebler, Key Account Manager in the Sales Center of FANUC Germany, confirms it: "As long as the machine is running, FANUC will supply spare parts." The FANUC 31i-B5 is pleased that the FANUC CNC from ISOG has its own user interface: The "tool-kit Professional" software used for the production and resharpening of tools, developed in-house by MTS AG in Pratteln/Switzerland, meets all practical requirements. MTS AG also knows that the CNC/servo drive package from FANUC really brings the advantages of the software to bear. It is crucial for the quality of a surface that the axes actually run simultaneously. Clearly: Ra and Rz values depend on the grain size of the grinding wheel. But with the fast control and extremely short clocking, the individual parameters can be adjusted much better. This becomes clear when aligning the machines. Usual aid: a dial gauge for the micrometre range. Confirm machine operator: "There is no shaking of the drives and their position control when aligning." MTS is an ideal partner for Daniel Metz: "They are always open to improvements, even individual adaptations for our company." Metz cares for its customers just as individually. All information about customer tools is stored - both traditional and on paper. If a tool is used for regrinding, the operator has all the information at hand. In some cases, requirement profiles are even stored so that they can actually be resharpened for specific applications. A 3D simulation of the grinding process is indispensable in everyday life. Metz: "Before we introduce new tool programs, let's take a look at it in 3D." Ideally, the CAD data of the new tool are recorded and adapted. "We do not grind according to a standard program, but actually adapt our work steps to the condition of the tool." This can be done either at a separate programming station or directly at the CNC of the machine. Collision monitoring is essential here. This information is stored in the customer's folder and can be accessed at any time. Daniel Metz is rather reserved when it comes to "Industry 4.0" - and yet he has already realised some elementary points. The flexibility in production down to batch size 1 results not only from a uniform machine park, but also from networking of the entire operation. In addition, a large monitor displays all current order data that are visibly important in the workshop: Which orders have priority? Is the order on schedule? Which items are still missing to complete an order? What is the lead time per order? Daniel Metz simply wrote an app for the web-based system that visualizes the production data from a central database. In addition, measurement results could in principle also be transferred directly to the grinding machines, but the quality-conscious Metz would rather transfer them manually. He is certainly interested in automating processes: "We want our processes to be as lean as possible." That's where we stay slim. And we remain flexible in this respect.